These Ballroom Dancers have extensive performance credentials in many dance styles including Salsa, Ballroom, Tango, Bolero, Waltz, Swing and more. They were featured dancers in movies, performed in the Live Lawrence Welk Show national tour, and have worked with major figures in the dance and entertainment industry, including Miranda Garrison, Joe Cassini, Joann Jansen, and Ron Montez. 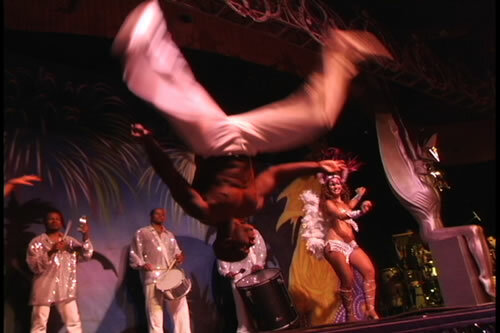 From theme parties to group performances, they will create a perfect show for your event. They've performed and choreographed for stage, film, and commercials, and can be joined by many other talented and beautiful dancers ready to make your event special and memorable for all to see. Traditional and creative Latin ideas for your celebration. Bands, DJs, Dancers, and Entertainers and more. Animate the stage and express your theme. Entertain the Latin way. 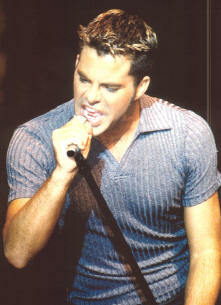 Laugh and sing along with Latin Lookalikes such as Shakira, Ricky Martin and Gloria Estefan. And there are many more such as Ricky & Lucy, Enrique Iglesias, Jennifer Lopez, Carmen Miranda and Selena. Latin theme parties often require a multi-talented DJ for more than just the music mix. We have DJs who teach professional dance lessons to keep your guests dancing to the Latin beat all night. We have bilingual emcees. And our DJs play the Latin mix, knowing the difference between the many Latin music styles. 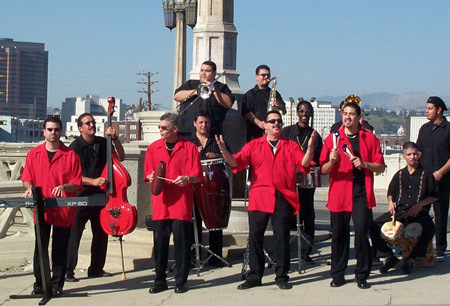 From Mariachis to Salsa Orchestras ... the Latin beat calls to the people and energizes any gathering. No Latin party is complete without the rhythms of the Latin mix drawing your guests to the dance floor all night long and keeping them dancing on the way out. Privacy Notice: This email was sent to you by your permission or the permission of your co-worker. Hot Peppers respects the privacy of our clients and does not share emails. Subscribe: To add your name to our mailing address, click contact us. Unsubscribe: To remove your name to our mailing address, click remove. Note: Printed Version may not retain the original, beautiful email formatting!